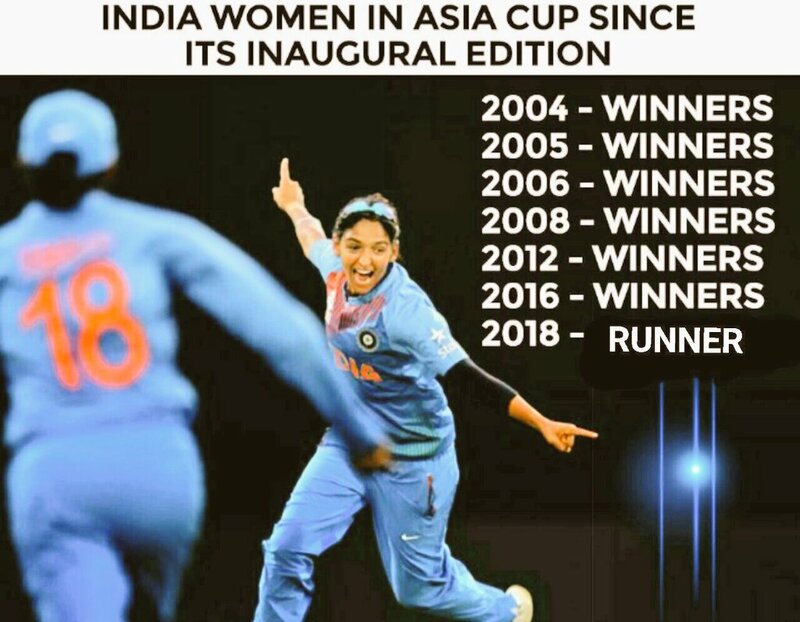 The final match of Women’s Asia Cup 2018 was played between India and Bangladesh where Bangladesh defeated team India by 03 wickets and won their first title of Women’s Cricket Asia cup. With this historic win now Bangladesh became the only team to win the Women’s Asia Cup other than India. It has been an absolutely thrilling contest between the two sides and this has brought India’s unbeaten-streak in the tournament to a halt. Terrific match! As you can see in the below data, team India was winning all the trophy from the starting of tournament but here today Bangladesh has made a full stop on team India victory process.